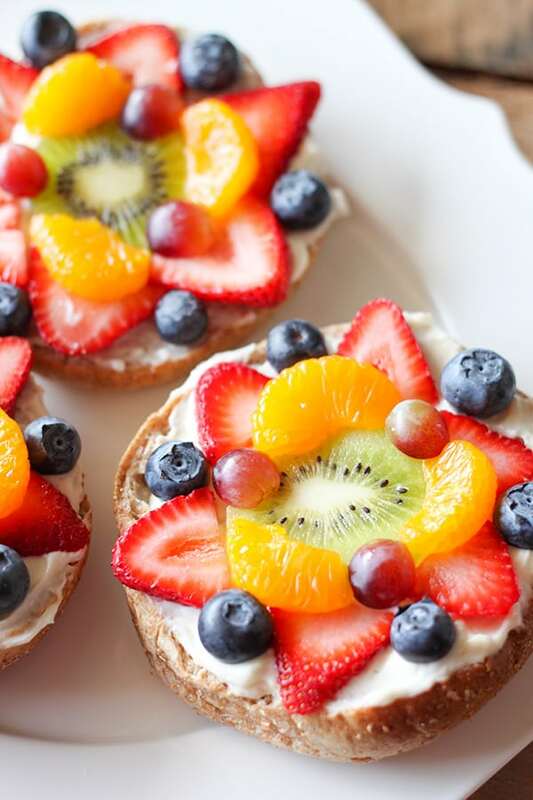 These colorful Bagel Fruit Pizzas were a huge hit at our house. 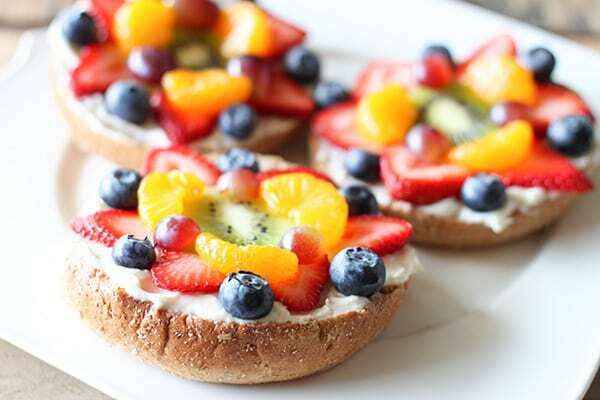 Fresh fruit piled on top of a layer of sweetened lemon cream cheese all on top of a hearty Thomas’ Bread 100% Whole Wheat Bagel. Kids and adults will love this fun twist on a pizza, in fact these colorful treats are hard for anyone to resist! 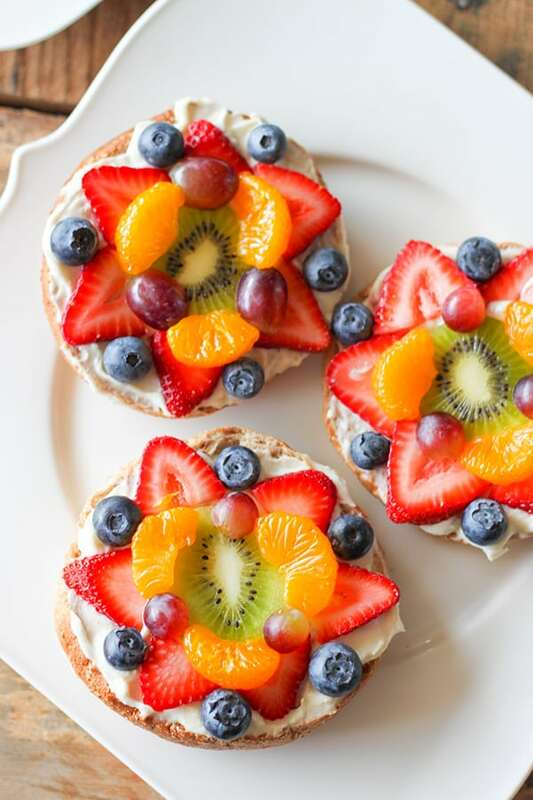 The whole wheat bagel is a favorite in our house and my kiddos were delighted with the rainbow of fruit toppings. These only took me a few minutes to put together.I even had a few leftover, so I wrapped them up and they were a perfect snack the next day. These were so easy to put together. I shared a fun video on Instagram showing one come together! 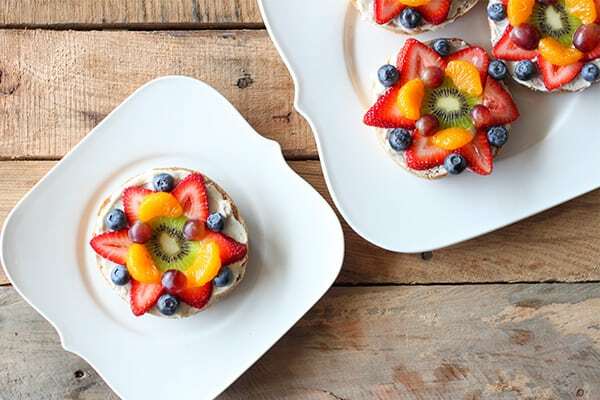 If you are in a hurry or your fruit is especially ripe and sweet, you can skip the flavored cream cheese and just use plain. 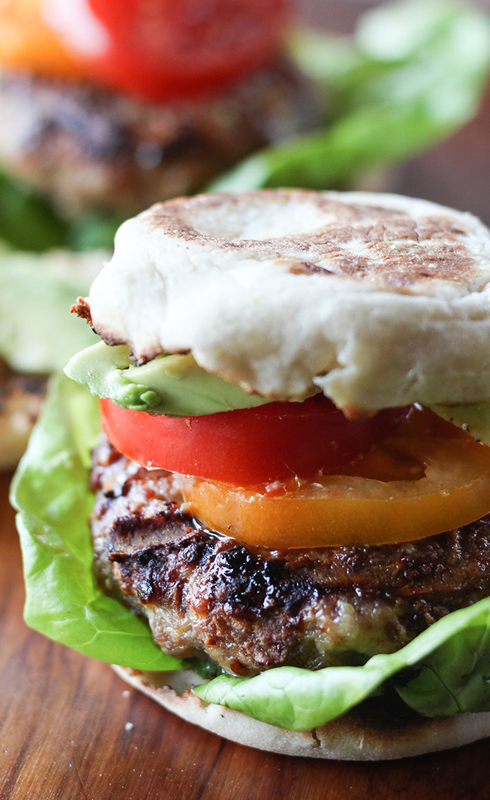 Perfect for a fun morning breakfast. 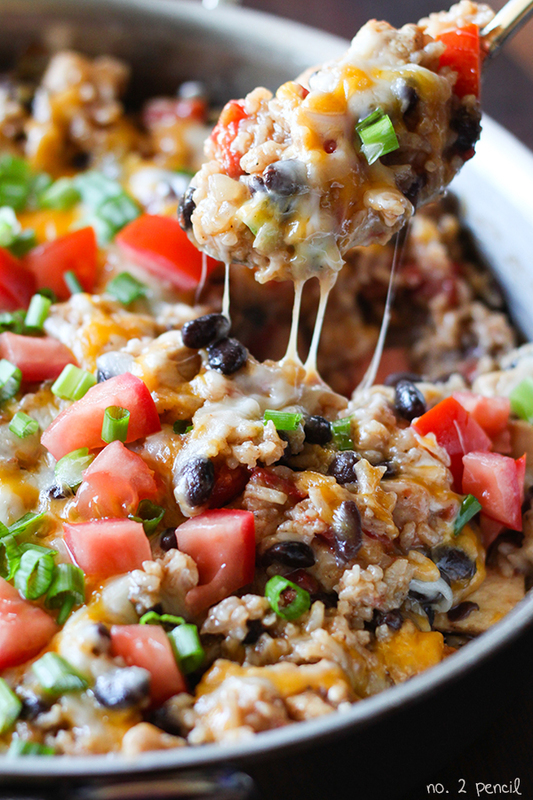 I can’t wait to make these again, I think they would be great for a brunch or a special breakfast. Previous Post: « Dunkin’ Donuts K-Cups! Yummy!! 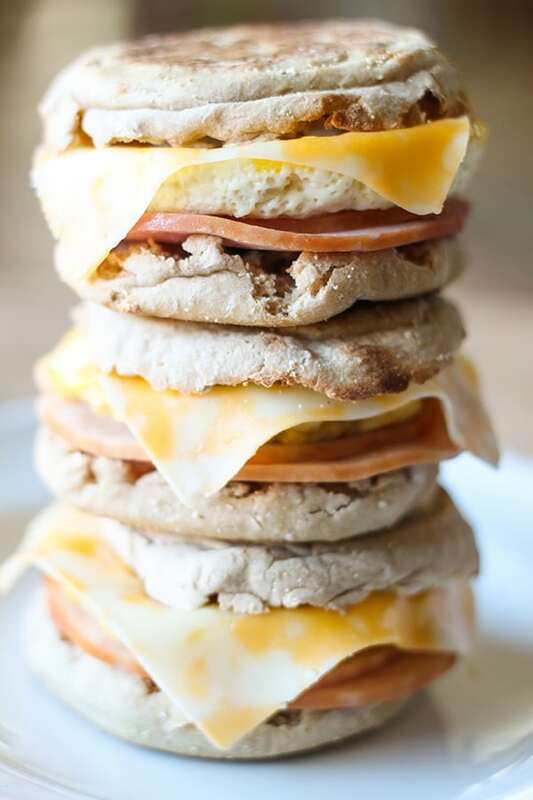 I just love english muffins and bagels!! And these look great! !